Sometimes when I reflect back and think what inspire and aspire me – I find that meeting people from all walks of life and experiences that help to shape my thoughts. 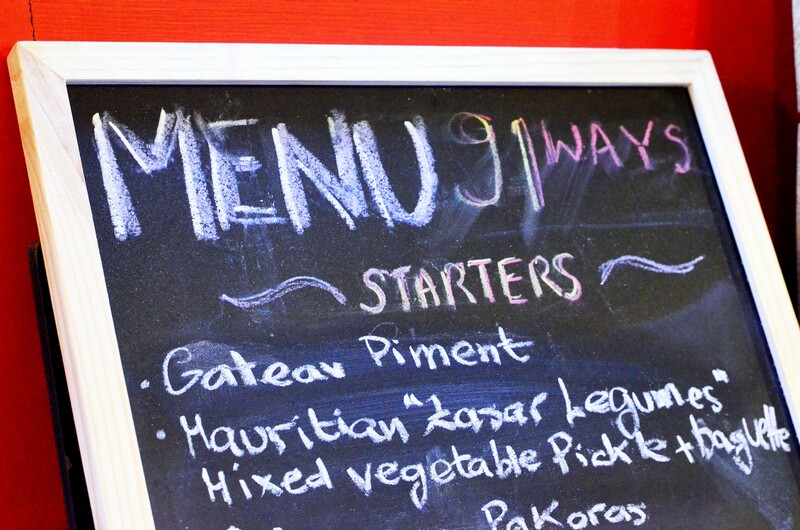 I always talk about Memories in my culinary journey, and together with the essence of Food it helps me to share Love. 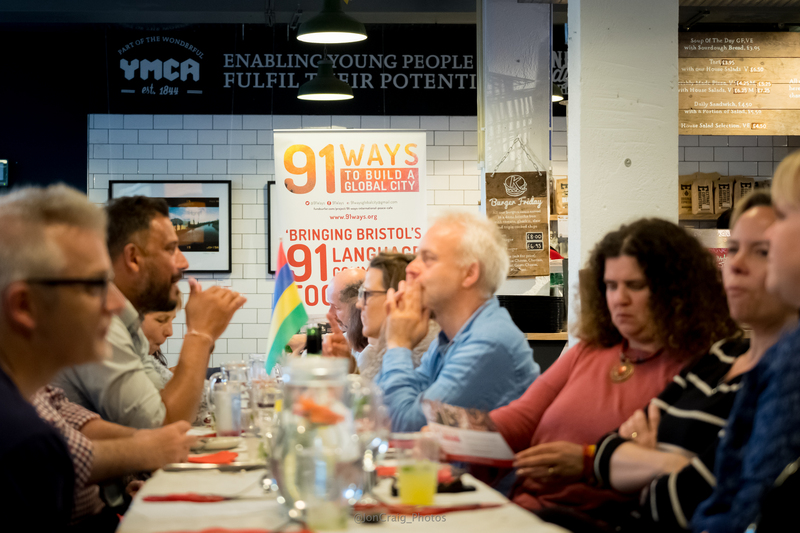 I have been very fortunate this time to work with 91 ways Bristol and share my food stories, food journey and above all my love for diversity in building a better community. Each and every one of us contribute to make an impact on the way we can shape and build a better community of freedom. 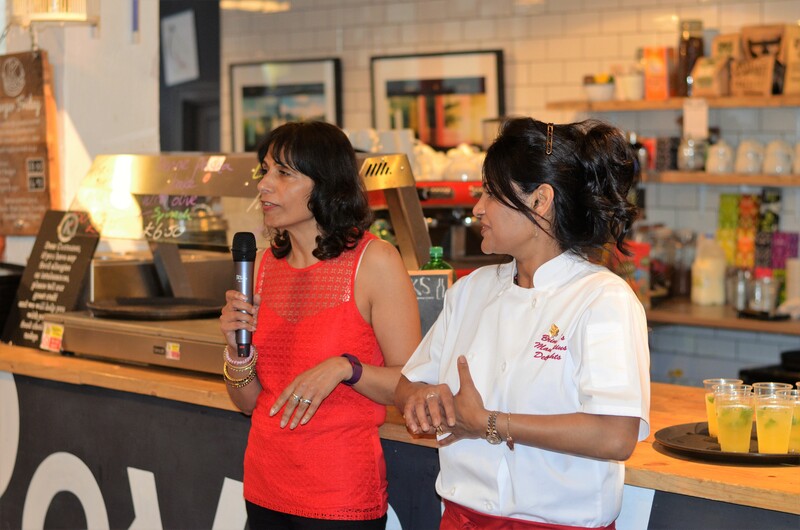 This time I hosted a Mauritian Super Club on the 23rd May in the Heart of the City of Bristol at The Station Kitchen. 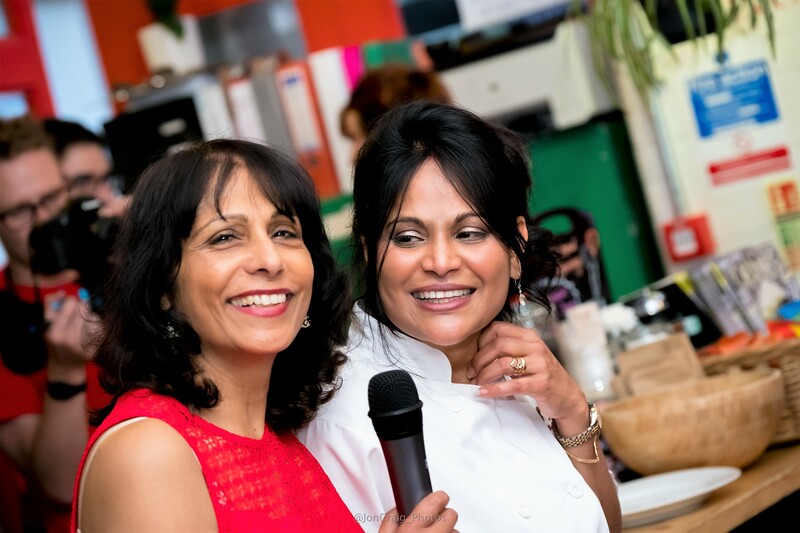 In my opinion what makes a successful dinner party is not just about the food, it is more about the great company, lively atmosphere, laughter & smile all round. Well this time with a full house of over 75 guests, the buzz in the room was overwhelming (pictures as seen says it all). 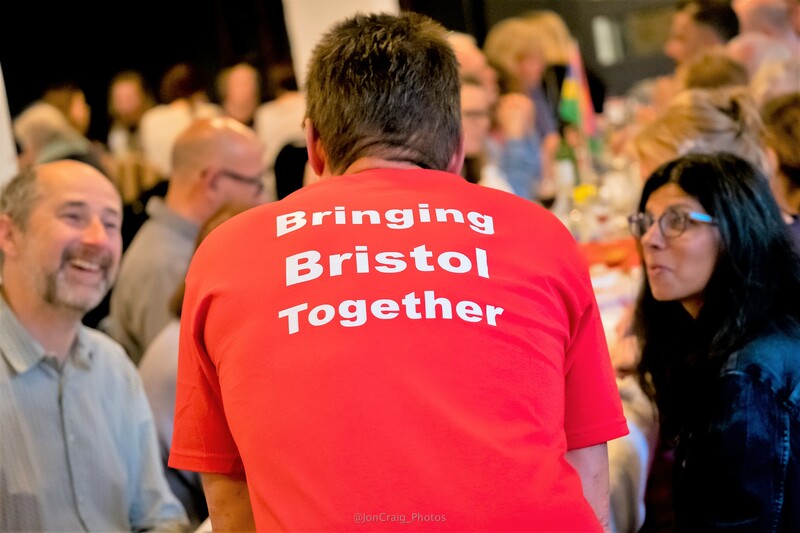 Our aim at 91 Ways Build a Global Bristol’s super club is to engage, unite people. 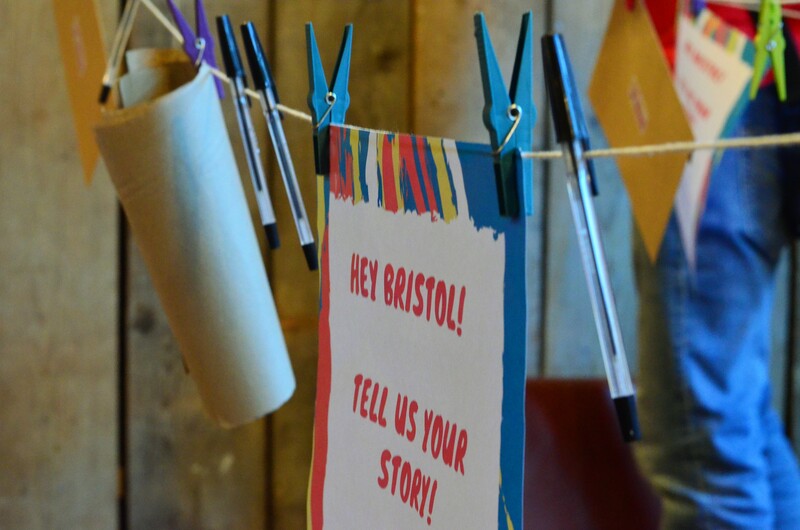 Make new friends, create new community spirit while learning about different cultures in the Community. Life is about enjoying every moment, and here we did just that. 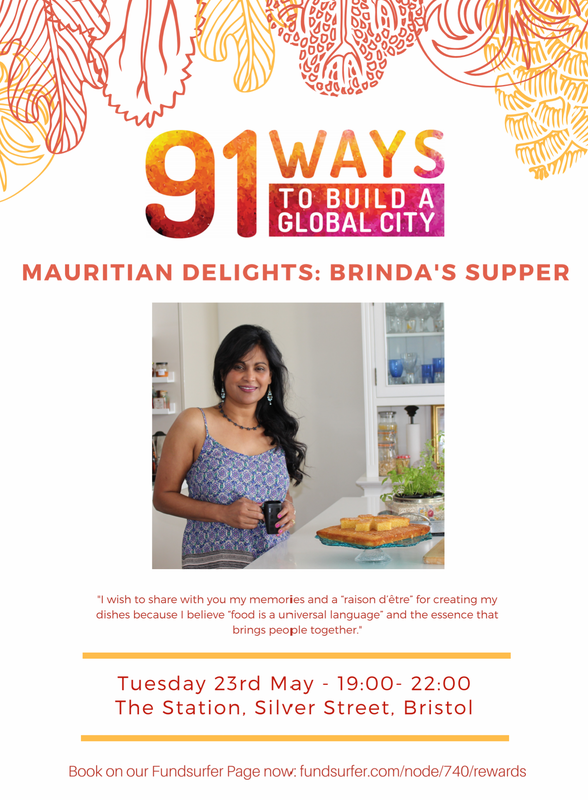 While sharing my motherland culture from Mauritius, I had the pleasure in just sharing Mauritian food but also its flamboyant multicultural diversity. As well as food, to spice up the evening we had a full evening of entertainment as you can see on the platform, that’s when the Chef wears different hats from cook to Sega dancer. 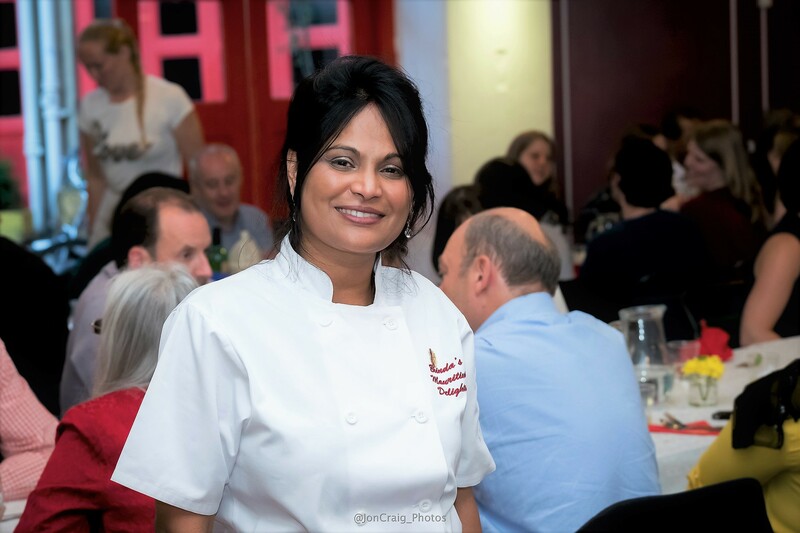 For any event to be successful it takes a great team work and we certainly had it, all the way from kitchen, front of house volunteer to family and friends support. My best and better half Dharma as well as friends Kathlyn, Jean Marc were all there to support as our Sega Group for the evening. 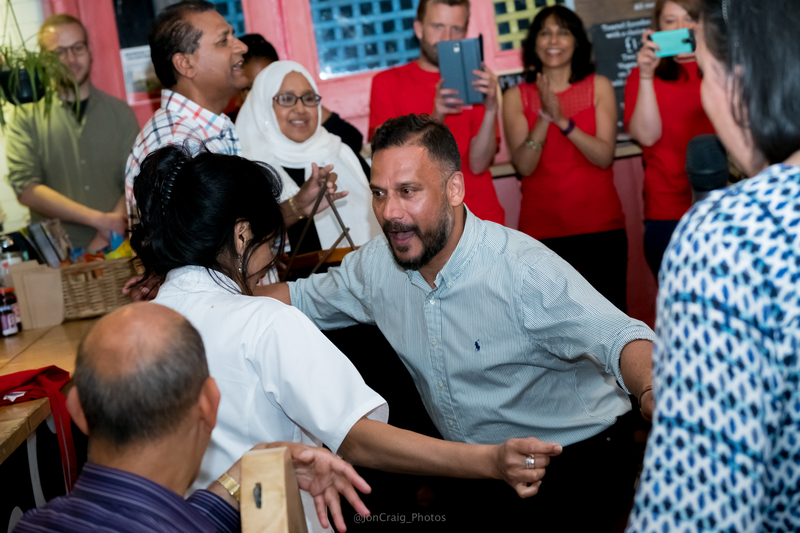 As we would say in creole “Batter Ravan, Triangle, Maravan and Sega” – Guests came to join us, learning the Sega moves and playing some of the musical instrument. 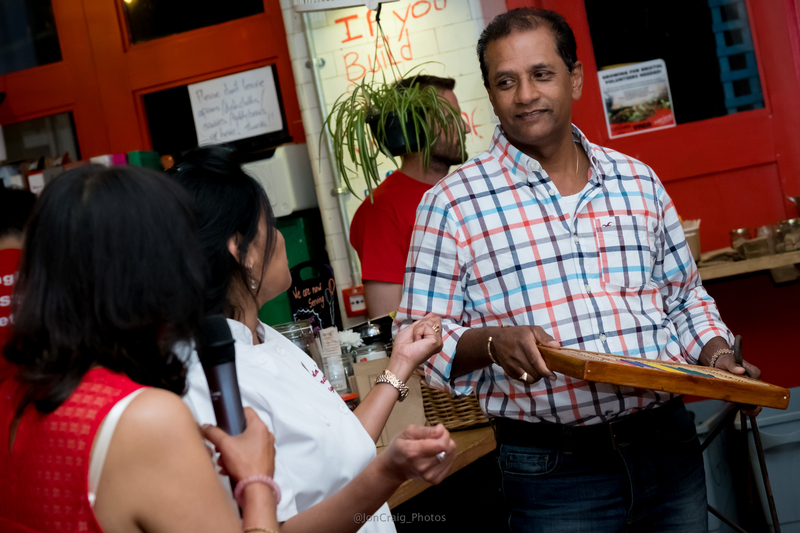 A Big Thank you to all who made the evening a memorable one.